A friend pointed out your online photos of various wrecks and crashes. While flying for Interior Airways in 1965 I was one of the pilots involved in the crash of Fairchild C-82, N208M. We started out at a location north of the Brooks range and made it to Fort Yukon, Alaska arriving on the 13th of Jan. 1965. The diversion was made as a result of Fairbanks (FAI) weather and a mechanical problem. The temperature at Fort Yukon was colder than minus 50 degrees F, which kept us grounded and slowed down the mechanical work. On the 15th of January, our mechanic was confident he had the problem fixed. On the 16th, the temperature warmed up to about -50 degrees F and after a weather briefing by the inbound crew of a Wien C-46, we decided it was time to go. And no runway to be seen to land on, as the takeoff had created an ice fog condition, blanking out visibility of the runway. No radios, and since the date is January 16 and Fort Yukon is North of the Attic circle - thus it is dark! We took all known measurers to resolve the problem with no success. We turned to the dead reckoning heading for Fairbanks and continued to climb - as I recall somewhere around 8,000 to 9,000 feet - during the climb I pointed out to the Captain that he was following a failing horizon. Think stone age instruments, no flags or whatever. At this time I took over the flying duties, as I had a vacuum horizon and DG. Somewhere shortly thereafter I proceeded to fly two triangular patterns with two minute legs. This was a signal to anyone watching their radar screen that a plane was declaring an emergency with no communications capability. At least that’s the way I remember it. Remember - no electrical power equals no feathering pump to action. The resultant aerodynamic behavior was something akin to a falling brick! The C-82 needed all the power two functioning engine can produce to climb. So now I am flying a C-82 with the gear down and one wind milling propeller. I can assure you I was the first one out of the plane and covered the greatest distance from it with all deliberate speed, with my emergency gear bag in hand. Upon concluding that there would be no fire from the discharged 130/145 avgas. we all assembled and my two partners took refuge in my sleeping bag. Would you believe that they were wearing street shoes, combined with imported Canadian fur lined, rubberized cold weather boots! No one was injured, other than their pride. We had lots of fire wood from all the trees we ground up during our short field landing. We spent 3 days awaiting signs of a rescue plane. I hiked out to the clear area to the South of the wreck and stomped out an S O S in the snow of the clearing. 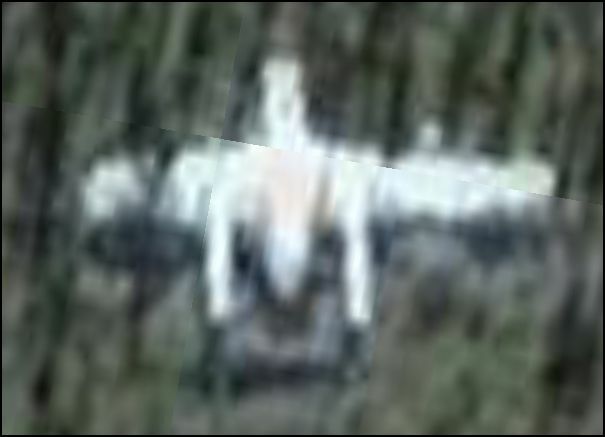 A USAF C-123 from Eielson AFB was first to locate us and he directed a USAF helicopter to retrieve us. We were taken back to Fort Yukon and changed planes, riding back to Fairbanks in the C-123 who located us. The Air Force LTCOL flying informed me that he was serving his 3rd tour in Alaska and we were the first survivors he ever heard of living through a C-82 crash! Pointing out the 'Flying Boxcar' was often spoken of as the 'Flying Coffin'. Some notes on our survival. We reduced snow to water over our ongoing fire, thus dehydration was no problem. We chose not to eat much, consuming one candy bar each during the 3 days it took to be picked up. Based on weather reports in the surrounding areas, the temperatures stayed in the -50 F area during our entire ordeal. My mentor pilot upon arrival in Fairbanks was Sig Krogstad, who had been flying in Alaska about 30+ years, and he educated me in the art of Arctic survival. In Sigs words, if you can't survive with the clothes on your back, you will die in the bush... Accordingly I took him at his word and always had one of the village ladies make my boots and other clothing, along with Eddie Bauer down underwear I was set to survive. The day following our arrival in Fairbanks we spoke with Interiors Airways owner Jim Magoffin and the FAA. We did the paperwork, and took the rest of the day off. The next day I flew a trip with Jim Magoffin. He asked me how I felt, I said fine, he said you are back on the schedule. One fine gentleman and a great company to work for. It was more like family in those days. I used to bowl with his wife Dot. 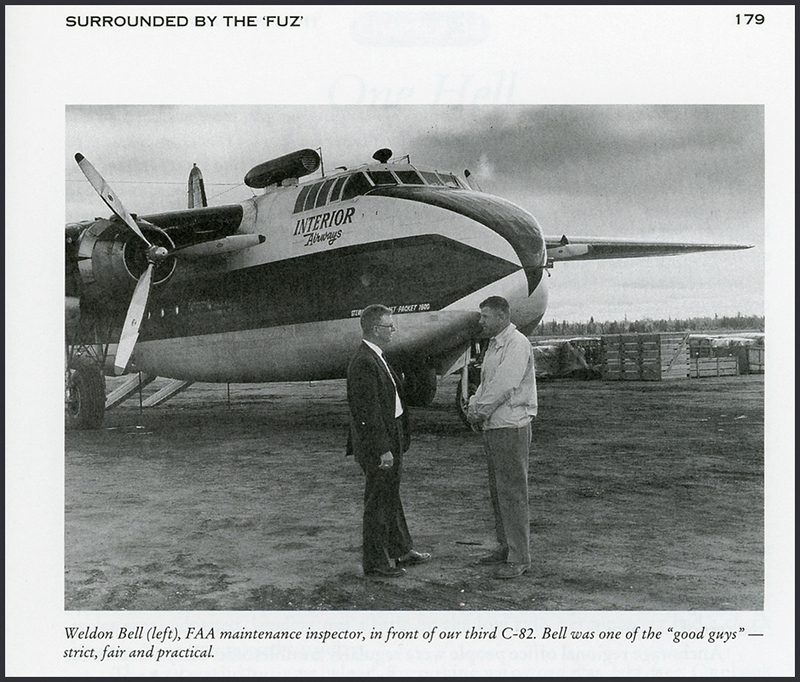 "On your website (the bookspage) you mention the book "Triumph over Turbulence" by Jim Magoffin, which is about Interior Airways of Alaska, which was founded by Mr Magoffin. I read this book over the Christmas and it was a great read. He mentions two crashes which may be of interest for your 'Abandoned Aircraft of the North' department. I carried out some more research, and they are as follows." IDENTITY CONFIRMATION & BETTER PHOTOS WELCOMED !!! "I looked at the N208M crashsite today, while looking for black bears. You can still see a swath through the trees where it slid to a stop..."